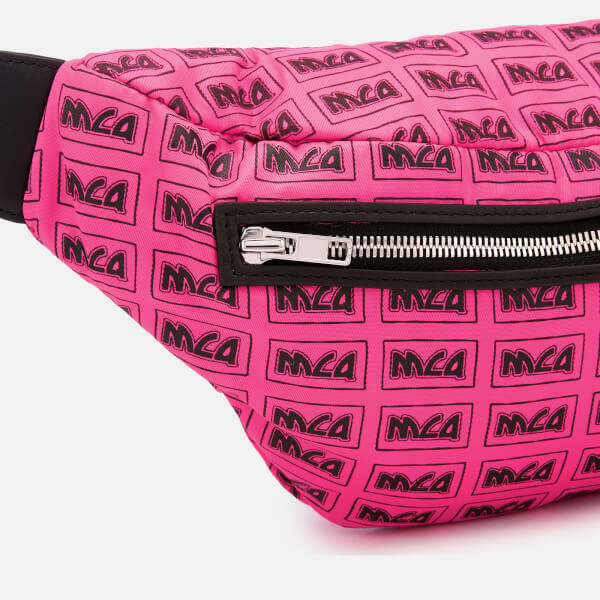 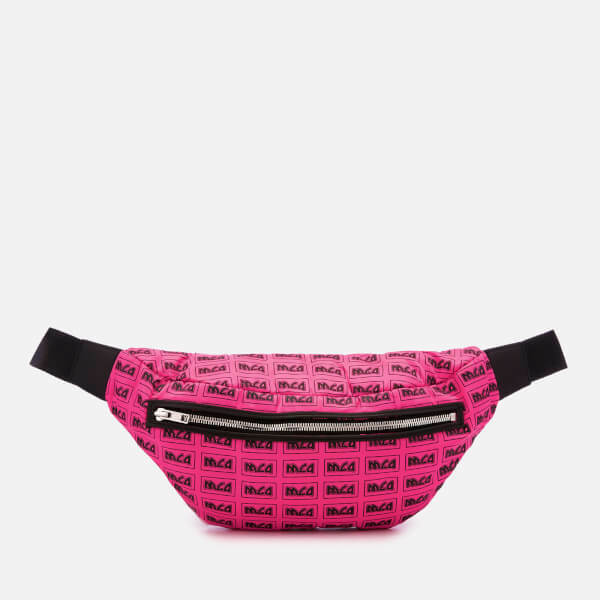 Fluoro-pink nylon bum bag from McQ, Alexander McQueen’s diffusion line. 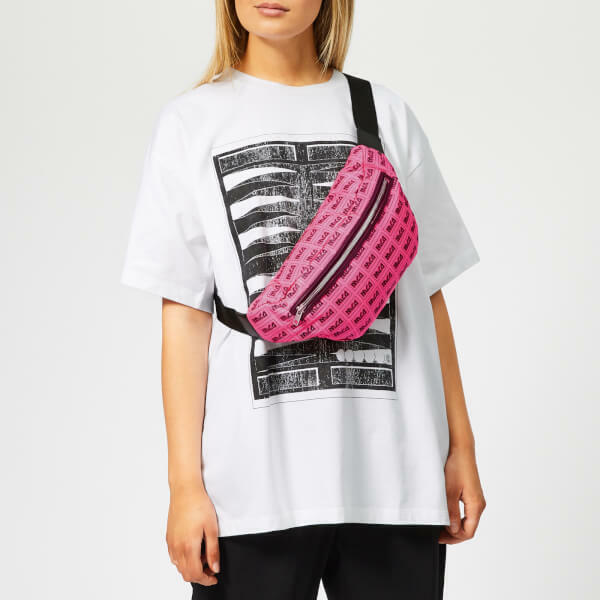 Adorned with an all-over, screen-printed logo print in black, the small belt bag features a zipper at the front, which accesses the bag’s lined interior. 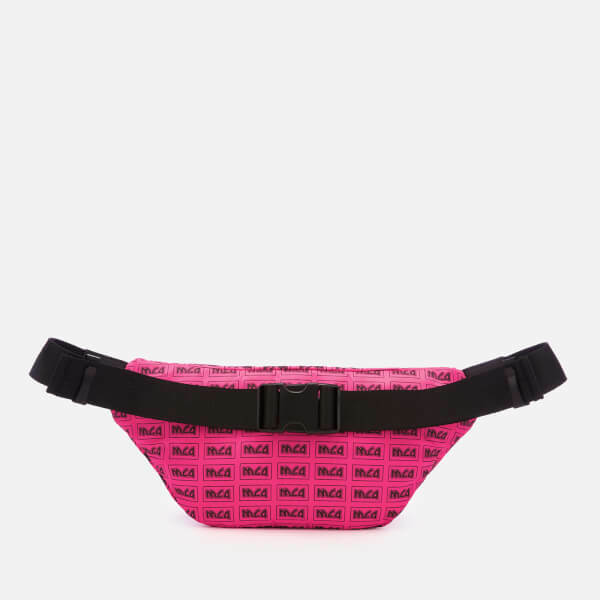 An adjustable grosgrain belt with a clip buckle allows for versatile styling.